Moving to our cabin came with a steep learning curve. I was born and raised in big cities and knew nothing about cabin life. When my husband and I decided to move to our cabin, we questioned if the idea was crazy. In order to make the move we sold most of what we owned, quit our jobs, and moved across the country at seven months pregnant. But our whirlwind journey to move to the cabin was just the beginning. Our first few months here were fast-paced and we had lots to learn about cabin life. Here’s 3 lessons from our first 6 months in the cabin. And if you’ve ever considered moving to a cabin: take note! These are the lessons I wish I knew before we moved. Photo: Megan Schetzsle / Our cabin at the end of summer, before the cold weather set in. One of the biggest perks of living in a cabin is being surrounded by nature. As a former city dweller, let me tell you: take advantage of this! For us, this means getting outside as much as possible. Even in small, everyday ways we get outdoors: going for a walk with our morning coffee, playing in the yard, or eating dinner on the porch. When the weather is nice we try to incorporate our surroundings into our daily routine. How we learned this lesson: We learned this lesson when the first snowfall came. With that first snowfall (mid-October), we realized the winters here are long, and we wished that we had taken full advantage of our surroundings before they were snow-covered. 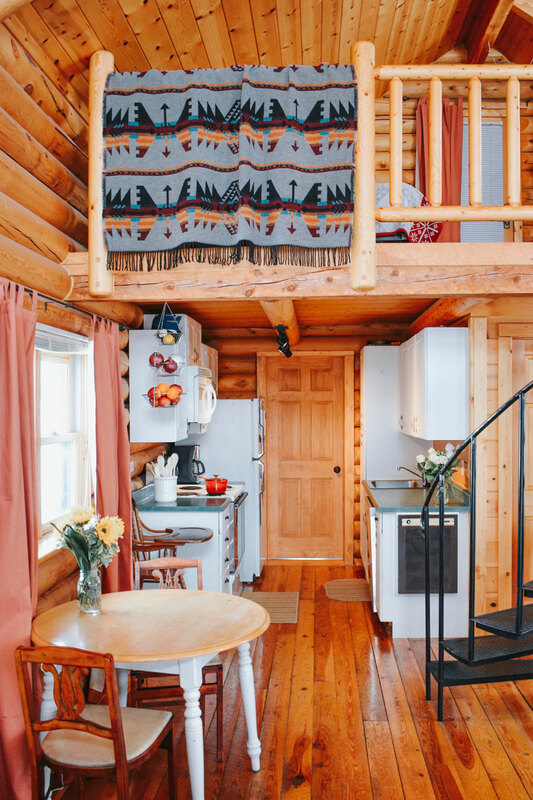 Photo: Megan Schetzsle / The left half of our cabin - it’s completely open concept with living room & kitchen downstairs, and bedroom as a loft upstairs. My husband and I learned quickly that moving to a cabin changed the way we communicate. Because we were living in a new, smaller space, we had to communicate better. Our daily routines and habits changed. New quirks and pet peeves surfaced. Sometimes it felt like we were stepping on each other’s toes; literally and figuratively–the cabin is one room. The best way to navigate these early days of cabin life was to communicate: we stayed in tune with one another by talking more about our feelings, routines, and expectations than we ever had before. This lesson also applies if you move to a cabin by yourself: pay attention to your own thoughts and emotions. 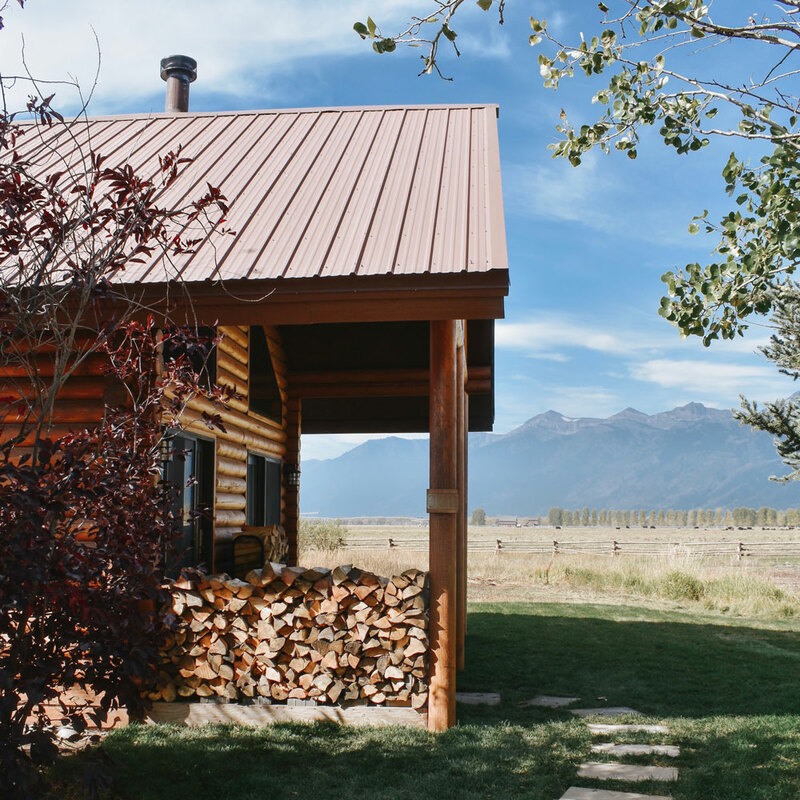 A cabin may be a very different space for you. Be aware of your changing habits and in tune with what you need as you settle in. How we learned this lesson: My husband and I got into an argument (it was over something small, I don’t even remember what it was now...) and mid-way through I realized that we lived in a one-room cabin. I can’t retreat into another room and not talk about things.. Leaving things unresolved creates an elephant in the room that’s too big for our little cabin! Cabin life is strongly dictated by one thing: the changing seasons. For our first few months here, as summer and fall progressed, we were reminded every day that winter was coming. Winter sets a timeline on cabin life because it limits the activities that you can do outdoors. It’s important not to put off practical tasks around the cabin (maintenance and other chores) because many of them can’t be done in winter. How we learned this lesson: We learned this lesson when we waited a little longer than we should have to get our first batch of firewood. Luckily, we got some just in time before we really needed it and the cold weather came. But we realized that you can’t put off practical tasks around the cabin. Get the firewood, make the repairs, prepare for the next season. Cabin life is full of the unexpected, and putting off any off any of these chores leaves room for other surprises to pop up - and then you never know when your to-do list will get done. The lessons we’ve learned from our first 6 months in the cabin have been many. And we’re just getting started! I keep thinking that we’ll learn everything there is to know about living here, but as more time passes I learn that cabin life is always changing. I get the feeling that cabin life will keep teaching us big lessons as long as we are living here. 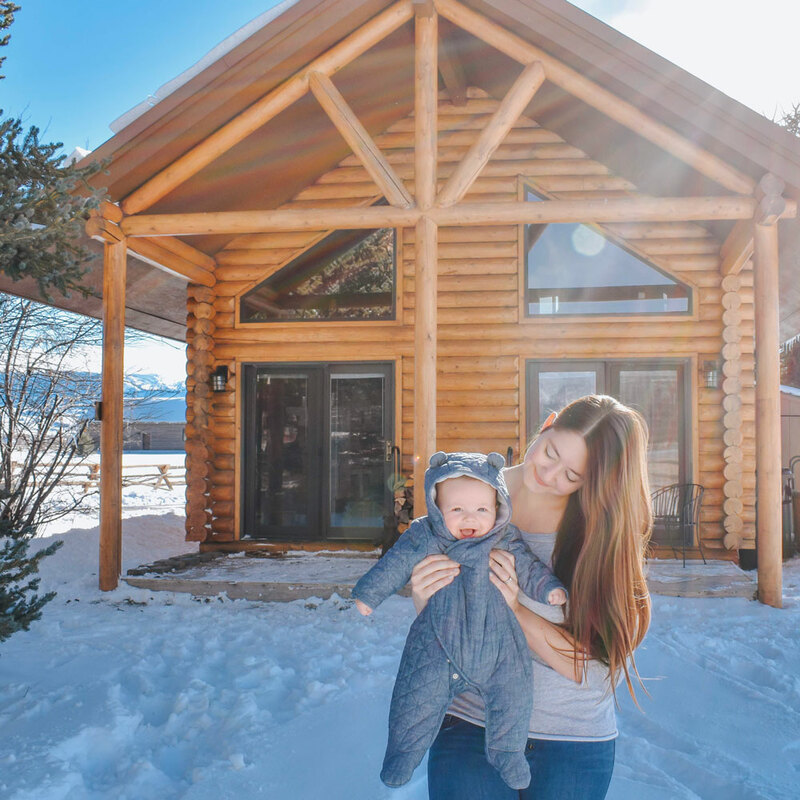 Megan lives with her husband and son in an 800 sqft log cabin in Jackson Hole, WY. 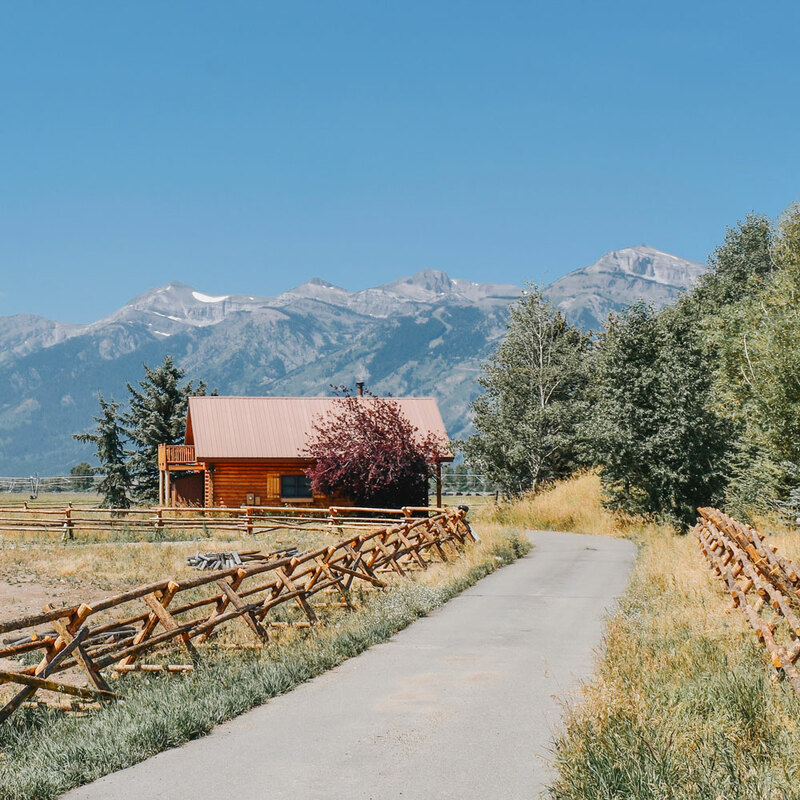 In search of a simpler pace of life, Megan & her husband took a leap of faith to pursue their own cabin dreams: they quit their jobs, sold what they own, and moved across the country from downtown Austin, TX to their mountain side cabin in Jackson Hole, WY. You can read her blog here or follow her on Instagram here.